Wooden clocks need not be old fashioned and boring! This fun design features an inset of digital flip cards that indicate the time in bold black and white numerals. 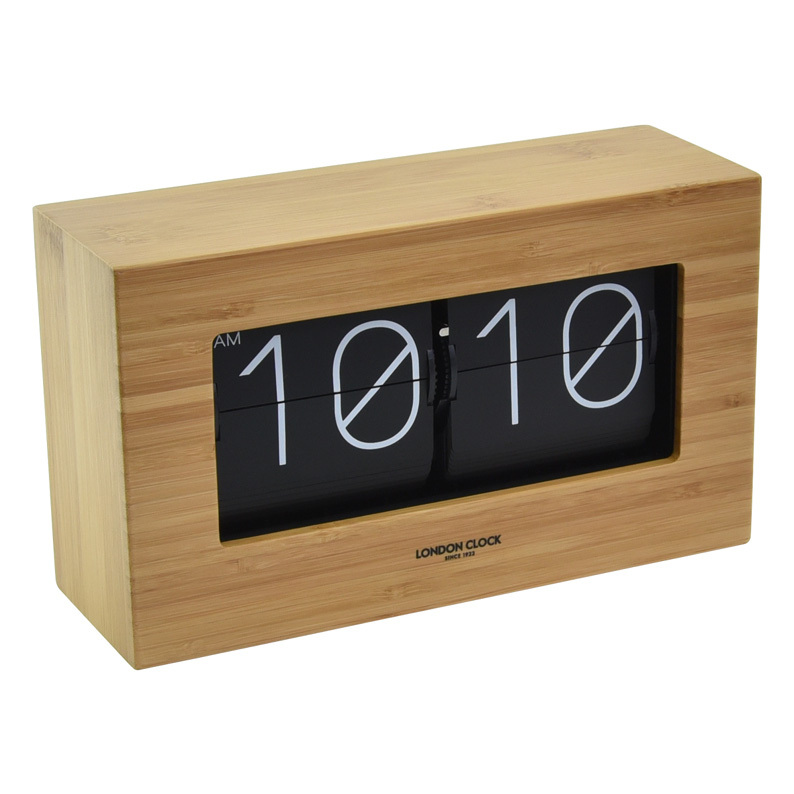 The outer case is finished in a lovely natural wood veneer that contrasts neatly with the modern electronic-style numerals. Ideal for modern or classic themed rooms, place it on a shelf, mantle or side table and create a talking point with your guests. Size H12cm x W21cm x D7cm.